Next time someone tells you that ethics doesn’t make good business sense or that competitive pressure doesn’t allow for an ethical approach, tell them to think again. Not only in South Africa but in companies and institutions across the world, misconduct of all kinds is increasingly revealed to be a destroyer of profits and reputations. This book considers the many different aspects of ethics in the workplace, and shows its role as a vital and necessary ingredient of long-term success. Does ethics make good business sense? Why is it hard to do what’s right? How ethical is your organisation? How can you improve your ethical status? 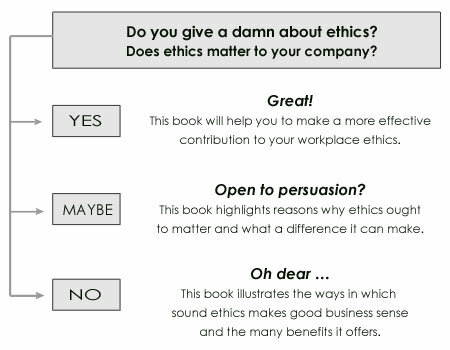 Ethics: Giving a Damn, Making a Difference is essential reading for executives, managers, public sector officials, employees, students of ethics, and everyone who is genuinely committed to finding out more about ethics and how it works in practice.